What if you had all you needed to open new doors for your career? What if you already held the magic key that would lead to the next connection, the next big thing, the next opportunity to bring your superpowers to work? What if the Beatles were right–that all you need is love? Even to grow your career? Okay, deep breath–let me explain. Earlier this week, I led a VIP career strategy session for a woman in Chicago. Like many of my clients, she came to me because she was smart and successful, but now felt stuck as to what’s next for her career. In preparation for our work, she’d already sorted through three options–we’ll call them A, B, and C.
A was the “big money” option. B was the “safe and easy” option. Like many people, my client was trying hard to convince herself that A and B would be the better choices for her career and life–if only she could get excited about them. But the only option that really got her heart thumping was option C.
And so after giving A and B their deserving strokes, we started exploring C further. We started nipping away at the assumptions and myths and fears. We focused on what–and who–she loved. And then the doors opened. First, by talking about option C with the belief it could be real–not just a fantasy–she described it more honestly and precisely, rather than skimming over details or feeling embarrassed for wanting this type of opportunity. We discovered I personally know three people who are doing what my client wants to do, and so introductions are now in motion. One set of doors opened. Second, by thinking about who’s already in her life, she immediately thought of two people who she can ask for opportunities to move her closer to option C. These people already care about her, the relationships are already secure, in place, and require no stretch or risk. Another set of doors opened. And so the adventure starts. Who knows where those doors will lead, but in my experience, those doors lead to more doors. And all she needed was the love of this idea, her option C, and to tap into the love she already has around her in friends, her family, and her community. Which brings me to today. I’m writing this post on Valentine’s Day, tucked away at my favorite table at my favorite local cafe. There’s a music track playing overhead, and right now, an acoustic version of Pete Townsend’s “Let My Love Open the Door” is fast becoming my earworm. 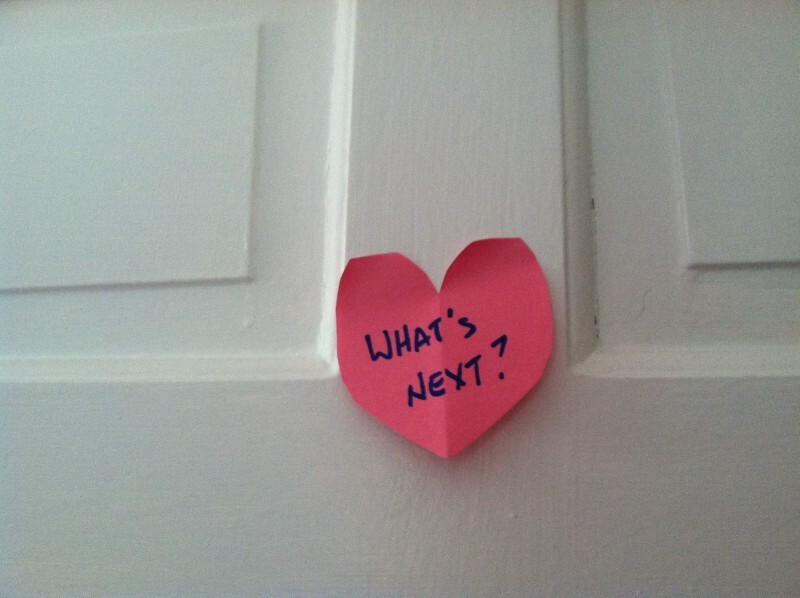 So with warm memories of my client’s door-opening breakthroughs and passionate appreciation of you making time to be here at Red Cape Revolution, I’ll close this little Valentine’s career story by sending you wishes full of love for your work and your life for today, tomorrow, and all through the year. If you enjoyed this article, please share the love with friends using the social media buttons below. When you share, we know we’re doing something right! If someone sent you this article and you’d like to get them delivered directly to your inbox, join our insider list for free here. And thanks!